Krama Sunrise is a new social enterprise tour company that commenced operations in Cambodia in April 2016. We need your help to ensure that we can succeed in building a viable alternative to a life of poverty and unmet potential for young people in Cambodia. Despite recent gains in the health and education levels for children in Cambodia, young people have not enjoyed the same rate of gains. Unfortunately, for too many young people aged 18 to 25, their prospects of ever securing safe and reliable well-paid employment are remote. Without a sustainable livelihood, the likelihood of a person leading a long healthy and fulfilling life is low. Krama Sunrise offers day tours to enable travellers to see how local people go about their daily lives and to deepen insights and sample Cambodian food, rituals, customs, language. We employ youth guides who deliver these engaging and unforgettable tours. Our goal is to run a range of day tours in and around Phnom Penh that will employ up to 10 young people by December 2016. Start with a Khmer style breakfast, and then we’ll take you shopping at the lively local market. Hop into a tuk tuk and take a local ferry across the Mekong River to Koh Oknatey Island. You will meet some of the villagers and share a delicious Khmer lunch with your guide and a local family. Sample traditional Khmer soup and seasonal Khmer dishes. If you are a budding MasterChef, we’d love your help in the kitchen cooking lunch. After lunch explore the work of local artisans and the sights and sounds of village life. Meet a local ‘krama’ scarf pattern designer and the weavers who turn her patterns into beautiful silk creations. End your afternoon cruising and relaxing along the Mekong River back to Phnom Penh by boat. Start your day like the Cambodians do with breakfast at a local restaurant. 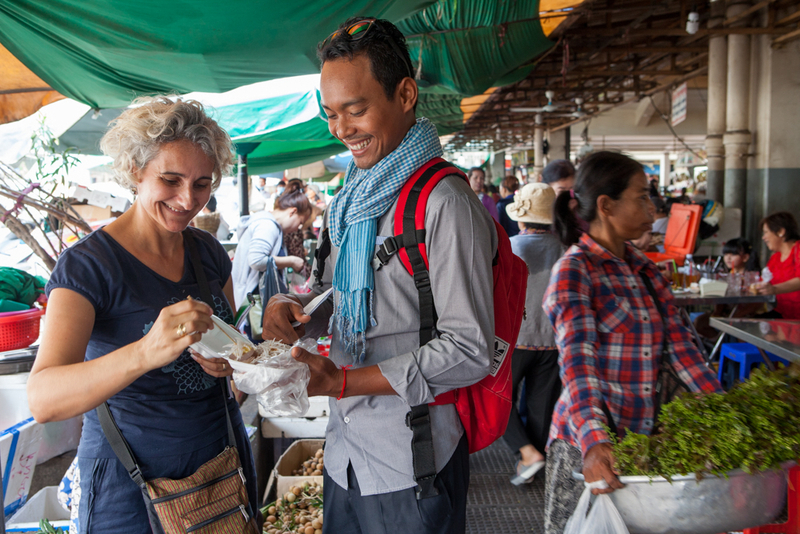 We’ll teach you about local eating customs, basic Khmer greetings and get you ready for bargaining at the market. Explore the bustling Psar Thmey (Central Market) while sampling delicious and unusual snacks… deep-fried tarantula or crispy cricket, anyone? We’ll also give you some tips about the rituals of market sellers. 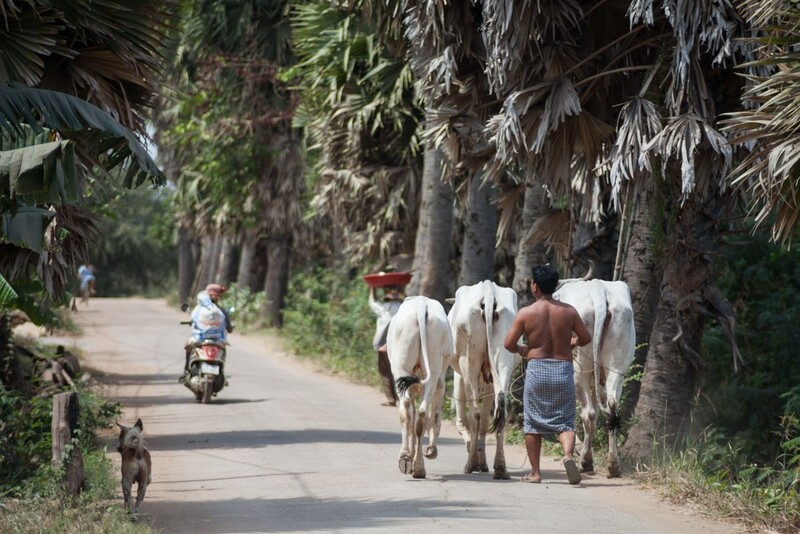 Did you know that 80% of Cambodians live outside the city? Let’s see how most Cambodians spend their days. Take a tuk tuk, followed by a local ferry, and cruise along the mighty Mekong River. My partner and I travelled to Cambodia for the first time in early 2016. We really wanted to get beyond the museums and learn about day to day life in 2016 from a local. We were both also very keen to find a Cambodian organisation that works with and supports the community. Krama ticked all these boxes and we had a superb time. I recently spent two weeks in Cambodia and went on a market tour with Krama in my final week. Over the last few years I’ve done a lot of travelling and have always tried to work in some kind of a walking tour, or locally led tour to understand more about everyday life in the city. The Krama Sunrise tour was excellent, our guide Andy shared loads of knowledge as we drove through Phnom Penh in the back of a tuk tuk. Tuk tuks are an amazing way to get around by the way. We would like to acknowledge the wonderful support of Koky Saly from Beekeeper Parade. Beekeeper is a separate social enterprise that we have partnered with for this campaign. We are proud to offer the Beekeeper Royal Backpack as part of one our rewards. We will expand the range of tours currently offered. This will enable us to increase the number of young people who are able to obtain training and employment through Krama Sunrise. Additional funds will used to develop and implement a more comprehensive Youth Guide Training program. Our local suppliers will also be able to access training that will enhance their opportunities for sustainable livelihoods in tourism. The additional funds will enable us to create a broader range of tours which means that even more young people can be trained and employed to deliver these services. 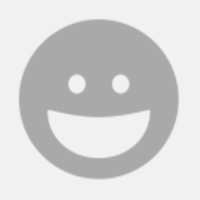 We will send you a personal thank you email for your support. We will send you a personal thank you email with a photo of our Tour Coordinator - Andy. We will send you a voucher, valid for 12 months for you to use when booking the Krama Sunrise Koh Oknatey Village and Local Artisans Tour. With your permission, we will post a photo of your backpack with you (or not) on our Krama Sunrise website and facebook pages. With your permission we will add your name as a donor on our website donate page. We will send you a personal thank you from our Krama Sunrise CEO.